Kartell K-Vit Options Modern Freestanding Bath - Only £619.99! The Options Modern Freestanding Bath from Kartell K-Vit provides a superbly comforting bathing experience. With superb heat retention, extra thick sides and a soothing ergonomic shape, this great value designer bath provides the perfect sanctuary at the end of a hard day. The high quality acrylic finish is seamlessly smooth and warm to the touch, making it pleasing on the eye and providing a beautiful soak. 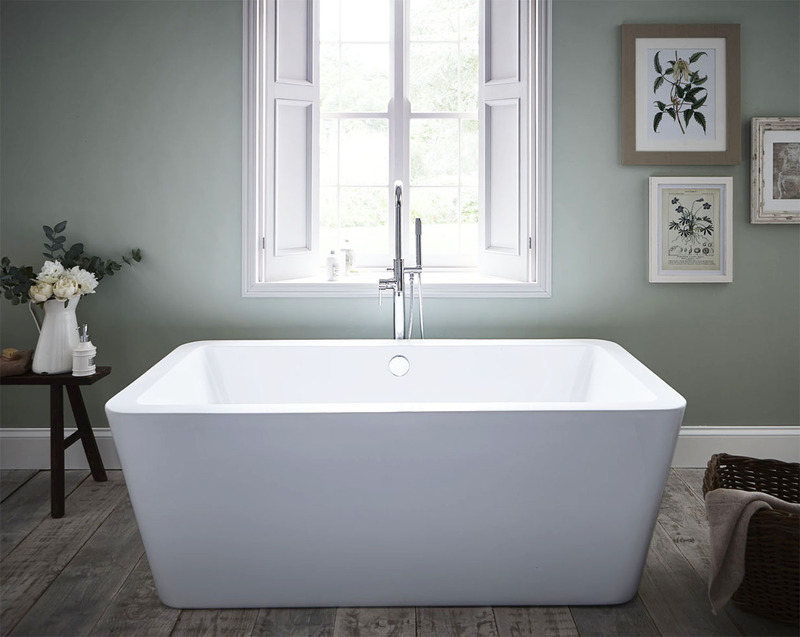 With encapsulated base board for added strength and durability, the Pure Freestanding Bath is crafted to the highest standards, and is available at a fantastic low price. Part of the new expanded range of freestanding baths from VIP Bathrooms, the Options by K-Vit / Kartell is the ideal addition to any bathroom - in stock now for quick delivery!